The mail that comes into our homes can quickly take over if it is not dealt with straight away. There are times when this is difficult to face if you are not up to date with sorting your budget and you are feeling over-whelmed about your financial situation. Or it could just be that you don’t feel that you have the time to deal with all that is there. This is difficult to face and yet it is something that is easily avoided. If you have stacks of mail already doted around your home you will need to consider how you are going to deal with it. The best option is to sort it into piles that way you can tackle it stages, this way you won’t be overwhelmed with the task. Then tackle them one pile at a time, until the mail is under control. 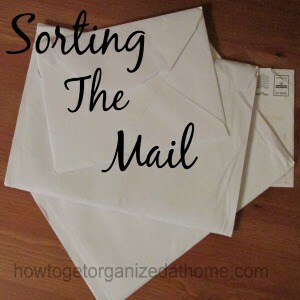 Be strict, know that you are going to sort out the mail as it arrives in your home. You need to have a plan in place on what you are going to do with each item. Junk mail gets opened and placed in the fire pile. Envelopes are great for putting fire lighter’s in. Post to sort, open and envelopes go in the fire pile. Read letters, if they need action put them in an action pile. If they are information that you need to keep they file immediately. If they are information that needs reading and not keeping, it goes on the fire pile. Any leaflets in the mail are all scanned for any information before being placed in the fire pile. If you are not lucky enough to have a fire you must remember to shred your mail that has any personal details on. This will help protect you from identity theft; this can cause a lot of problems and is not something you will want to experience if you can help it. You need to make sure that you keep your details to yourself and never share them with anyone and that includes the dustman. There are gangs of people who will go through people’s garbage to try to gather information on your personal data. It might surprise you what people are able to apply for with some limited information that is easy accessible from your rubbish. This is why it is important that you dispose of your mail in a careful manner. If you don’t have access to a fire to burn your personal paperwork then you need to shred the paper before you throw it away. It is only through this sort of attention to your personal information can you limit the potential of a person who is going to try to use this information against you. 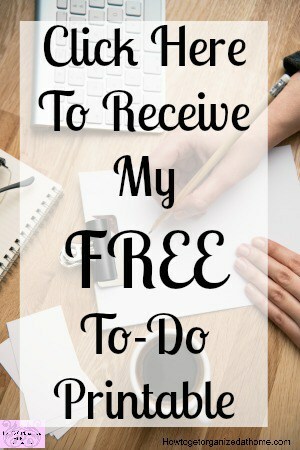 You need to set time aside each day that you have post that you need to sort, schedule the time into your calendar and make sure that you deal with it then. If you leave it a pile of mail will quickly accumulate and this will take longer to complete the task when you are finally ready to deal with it.